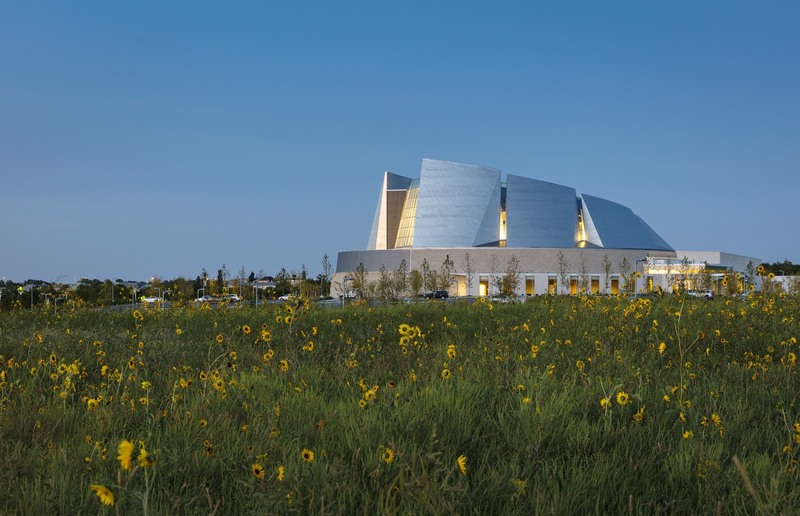 The United Methodist Church of the Resurrection designed by HGA has won a 2019 AEI Professional Project National Award of Merit for Structural Systems Design. 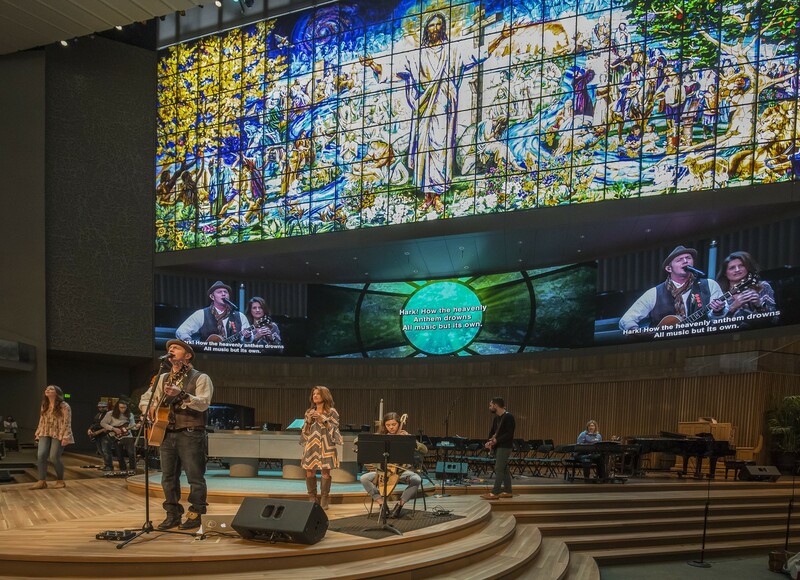 Located in Leawood, Kansas, the 145,000-square-foot Church of the Resurrection on a 76-acre landscaped site features an elliptical, column-free sanctuary with balcony for 3,500 congregants; a state-of-the-art multimedia and theatrical lighting system with large LED screen; a 100-foot x 35-foot stained-glass Resurrection Window; and a series of seven stainless-steel exterior “sails” inspired by the seven days of Holy Week. Sarah Jorczak, PE, LEED AP, and Kevin Borth, PE, SE, led the structural engineering team in collaboration with the architecture team to develop innovative solutions that achieved the client’s vision for a spatially open, architecturally inspiring space that has been embraced as a community landmark. The annual Architectural Engineering Institute (AEI) Professional Project Awards program acknowledges outstanding achievement in design and construction, with a focus on the art and science of an integrated approach to architectural engineering. For more information, visit the AEI Professional Project Awards.